February 18 - Channel 4's coverage of the London 2012 Paralympic Games has been shortlisted for five categories at the Sport Industry Awards 2013. 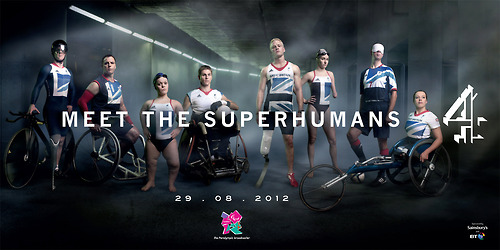 Channel 4 recorded some of the highest viewing figures in its history for the Paralympics when they covered London 2012 as they televised an unprecedented 400 hours of live coverage across multi-media platforms. At the Sport Industry Awards 2013, they have been nominated for Sport Brand of the Year, Best use of PR, Best Integrated Sports Marketing Campaign, Sport Website of the Year and Best TV commercial. The announcement comes after Channel 4 secured the broadcasting rights to show the 2014 Winter Paralympics in Sochi and the 2016 Summer Games in Rio de Janeiro earlier this month in a £7 million ($11 million/€8 million) deal. Channel 4's new deal for Sochi 2014 and Rio 2016 includes multi-platform broadcast rights within the UK and will see the broadcaster build on its coverage of London 2012, which reached 69 per cent of the population and broke viewing records for Paralympic sport. "The year 2012 marked a remarkable year for sport in the UK, with London at the heart of it," said Sport Industry Group chairman Nick Keller. "But what made this past year so memorable is the work that was put in to ensure that success, not just on the track, field, or pool, but online, on TV, on billboards and in stadia. "Being named on the official shortlist for the Sport Industry Awards is definitive proof that a team, brand or organisation's work has been amongst the very best in its field across an entire year." The winners are announced at the annual Sport Industry Awards ceremony on May 2.